There are always multiple projects underway. This is a project looking ahead to the 2017 centennial of the U.S. entering World War I . . . the supposedly "War to end all wars." That war also ended the very limited participation of women in wartime support. Here in Michigan Oleda Joure became a "Hello Girl", the popular name for members of the U.S. Army Signal Corps. The "Girls" were requested by General Pershing because of difficulties using the existing French phone system conflicting with his determination to keep phone lines available between the battlefront and headquarters. He requested bi-lingual (French and English) telephone switchboard operators. They were subject military regulations, including court martial, and even stood inspection along with soldiers, yet it wasn't until the presidency of Jimmy Carter their service was finally recognized as being the first women veterans of the U.S. Army. I find Oleda an exceptionally interesting Hello Girl, and not just because she was from Michigan, as she was both a telephone operator/training supervisor and an entertainer. She was also asked by the Red Cross to become a member of their touring program, a precursor to later U.S.O. tours. She couldn't accept as she was already under orders with the Signal Corps, but her knowledge of music of the era lets me bring it into the fascinating story of the Hello Girls. 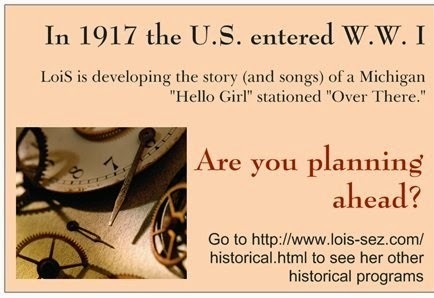 If you are interested in the various resources checked so far, the primary online source for Oleda is The History of a Hello Girl written by her daughter Michelle Christides. Yet another website of Ms. Christides gives additional photos, facts, comments by her mother, and also cautionary remarks to teachers and writers. I also found this abbreviated article by her has a few additional bits of information and anecdotes not mentioned elsewhere. She has more information, including oral histories of a few of her mother's colleagues, and hopes to publish it in a forthcoming book. If you go to the Armed Forces History Museum's page on the Hello Girls it mentions Oleda, as it is almost a complete copy of Ms. Christides webpage, but fails to give her credit. I also found a blog on Women Heroes that did the same. It's no wonder comments about how the work by Michelle Christides and about the World War I Signal Corps should be handled was posted. Senior Master Sgt. Jerry Hanes in his article, "Hello Girls set stage for women in the military", on the Malmstrom Air Force Base site does more work as his article features Grace Banker, the Chief Operator or supervisor, but he, too, mentions Oleda and the article by her daughter. Soldiers; The Official U.S. Army Magazine has "World War I's Hello Girls: Paving the Way for Women in the U.S. Army", an excellent article by Elizabeth M. Collins. Here's the brief introductory (dare I say obligatory?) Wikipedia article on the Hello Girls. Even Facebook has a Hello Girls section within the U.S. Army War College photos. There are a few other online locations that give brief mention. If you go to Google for a search, it's worth adding "world war 1" or variations as there was also an unrelated t.v. show by that name. Catch a great YouTube video (November 2013) by Dennis Skupinski about the Hello Girls of Michigan, with Oleda featured as well as Cora Bartlett, who died of Spanish Influenza while serving as a Hello Girl. This is part of his excellent series, Michigan's WWI Centennial News Report, videos he has been producing for several years. As the old Y.W.C.A. 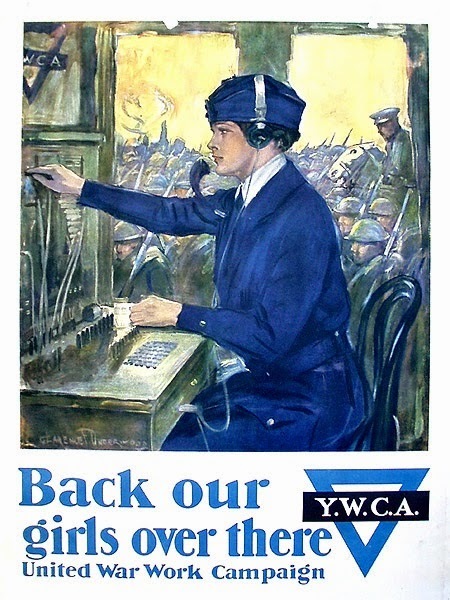 poster declares, we should "Back our girls over there" both during the war, when they returned to the U.S. but were told they couldn't have been sworn into the army, in 1978 with only 70 of the "Girls" still alive, and as we begin to look at World War I and the women supporting that effort. 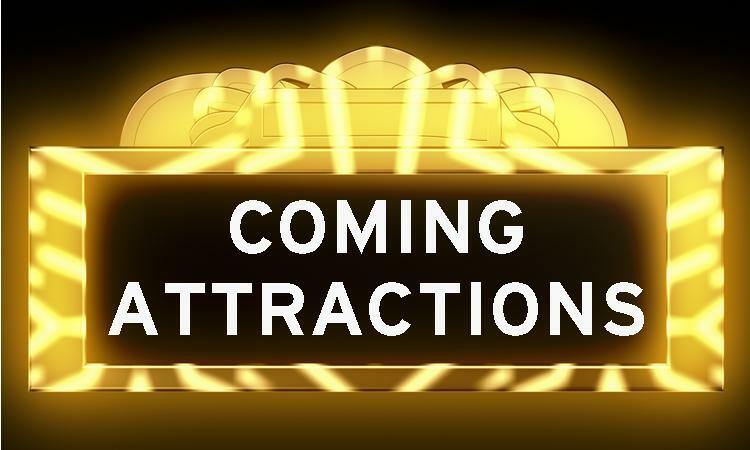 Is that my only project in the works? Dunberidiculous!